Seat this modern, slightly edgy collar at the base of your neckline. 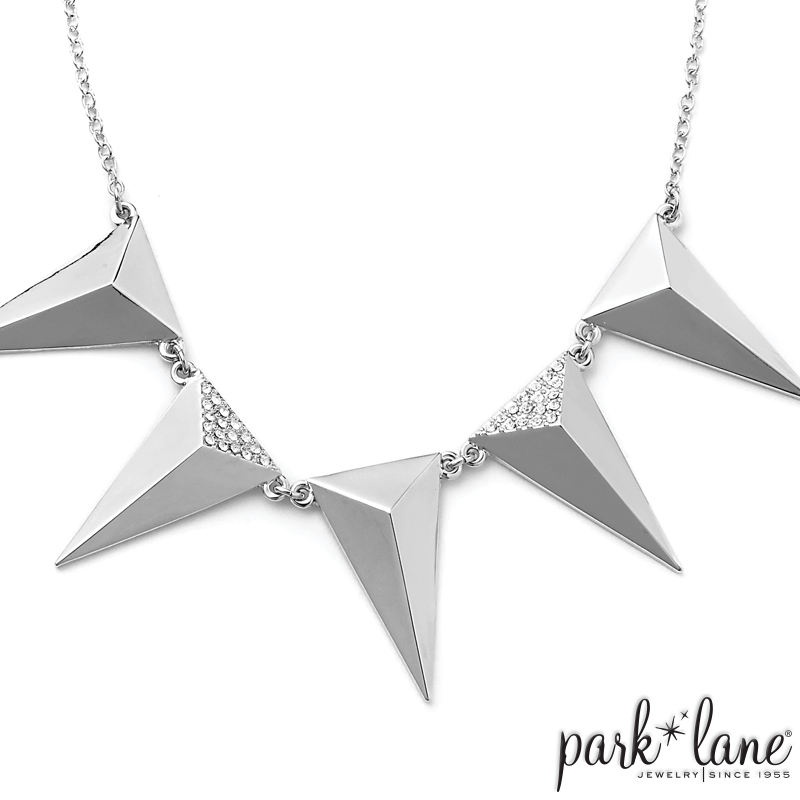 Each mirror-bright silver spike is embellished with sparkling pave crystals. The dagger spike earrings place you out “on the edge”! Rings: Unite, Studded, Concept. Bracelet: Volume.